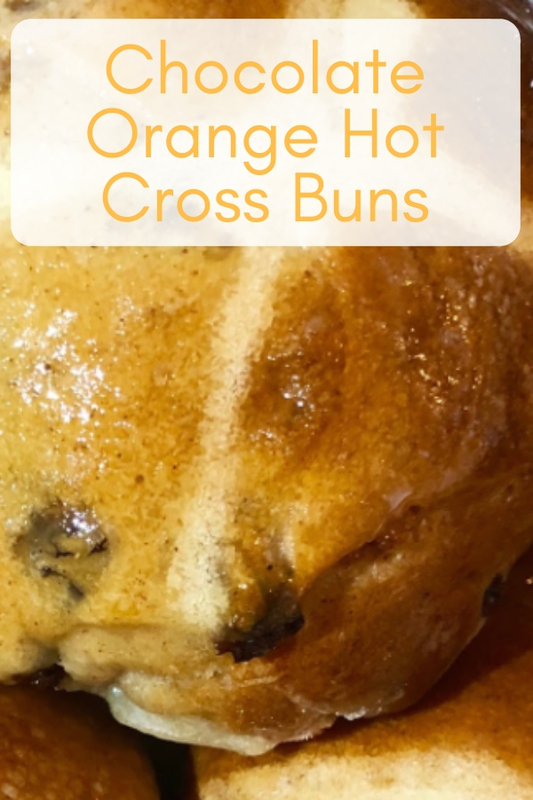 Easter is just around the Corner and one my favourite treats at Easter is Hot cross buns, but I've never made my own. I like to dabble in baking from time to time but I'm no Mary Berry, I had a search around a few websites and cook books for inspiration and decided to put a twist on mine by adding Chocolate Orange (all baking recipes are improved by adding chocolate orange). Mix the flour, salt and ground mixed spice and pass through a sieve into a large bowl. Cut the butter into cubes and rub this into the mix with your fingers. Make a well in the mix and add the sugar, zest and yeast. Add the egg and milk and mix together to form a soft, pliable dough. Turn it out onto a floured surface and work in the dried fruit and chocolate orange. Knead the dough five minutes or (if you're lazy like me) use a food mixer with a dough hook. Grease a large bowl and put the dough in and cover with cling film and leave in a warm place for 1-1 1/2 hours until it's doubled in size. Grease a baking tray and transfer the buns, cover with greaseproof paper and then put the tray in a polythene bag and leave to rise again for 40 minutes. Pre heat the oven to 240°C/475°F/Gas 8. Take the buns out of the bag and remove the greaseproof paper, for the topping mix the flour with tablespoons of cold water. Using a piping bag pipe the flour in the shape of a cross on top of each bun. Bake the buns for 10-12 minutes until they're the right colour (light golden brown is what you want). As soon as the buns are out of the over brush with the warm golden syrup and leave to cool on rack. These were really easy to make but it does take a good few hours from start to finish but most of that time is spent waiting for the buns to rise. Not to toot my own horn but the are delicious. What do you think of my recipe? 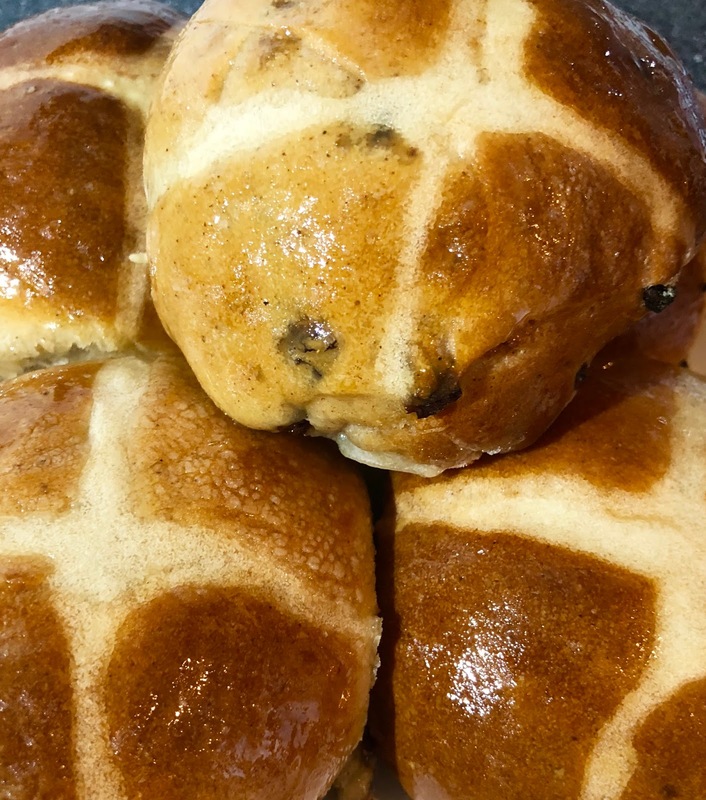 Do you have any traditional Easter recipes you like to make?